I am looking to buy a PRS-25 however on the timefactors website they are showing as “out of stock”. 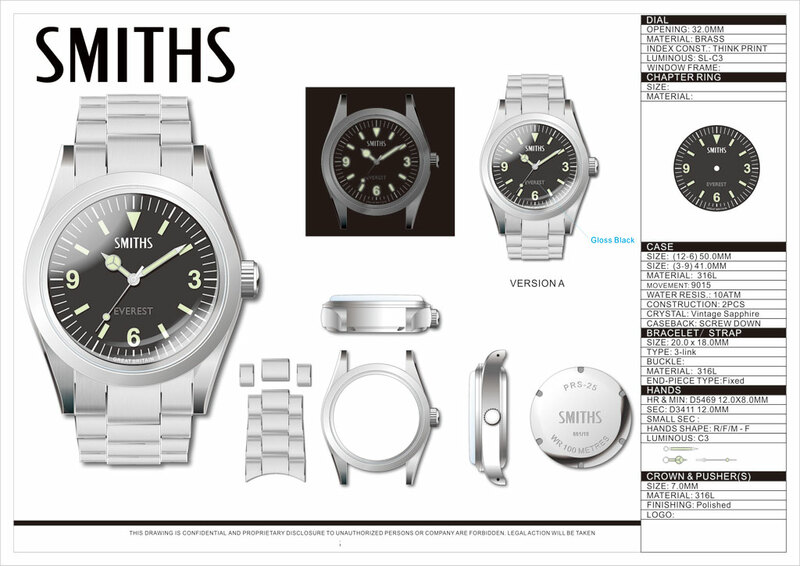 Does anyone know if there will be any more produced this year (2018) as I would love it to be a birth year watch for my newly born son? And he recently said that there won't be for the time being; something to do with the costs for it being driven too high atm, iirc. See post *36 here . The only reason I sold my last one was because the crystal kept getting scratched. Presumably the flatter sapphire will reduce the thickness a mm or two? It's not flat, it's hi-dome "box" crystal. Will the hands be any longer Eddie? Any idea of release date or approximate price? That's going the wrong way. Thanks for all the replies, especially Eddies. That went from disappointment to delight! I look forward to finding out when it will be released. Yes, I’m with you. Shorter L2L would be on my wish list too. Sapphire is a great idea. Another would be a different movement from the Miyota used last time. 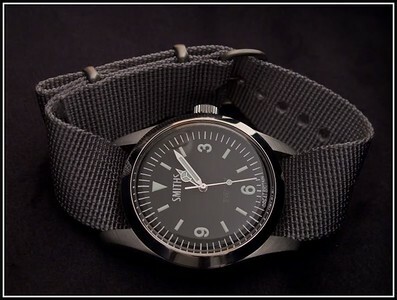 While the case diameter has increased, the bracelet/strap size has decreased from 22mm to 20mm. The seconds hand looks shorter, on mine it extends to the minute/seconds track. This may help it 'wear smaller' than the older version. Especially if the endlinks drop away more sharply than before. I'll be interested to see. Seconded again! I’m sorry if I sound over critical. I really wanted to love mine but that rotor really grates. Looks nice, smaller would have been good. Thumbs up for the 20mm lugs. Also interested in the movement and price..
9015, according to post #5. Oh aye. Thanks I missed that too. 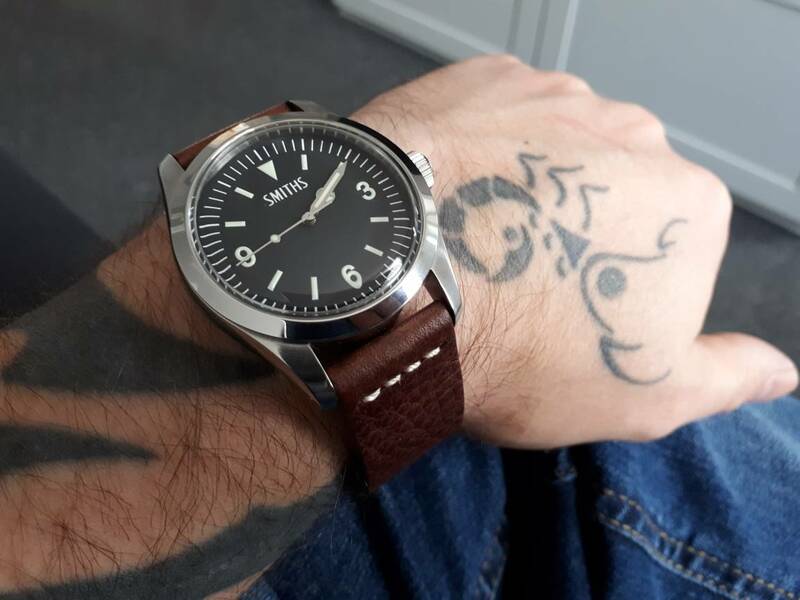 9015 is a great care free movement for everyday use and abuse, perfect for a real tool watch. You’re quite right, of course. But I want the sun, the moon and the stars! Are they that cheap? I thought that might be the case with the 8215. Citizen/Miyota are a conservative company, they only released the 9015 when they were absolutely sure it was as reliable as the 8215, so leaving it for 10 years isn't really an issue, it will keep on running fine. Not perfect at all as other people have mentioned. Only thing close to perfect would be a quartz and that's probably why it's being used in the new PRS18Q. I've had mine since December 2011 and worn it a lot, never had a problem with the movement, the rotor doesn't grate. If it had been built with a quartz movement I wouldn't have bought one as quartz would be completely out of keeping for this watch. However Eddie would never commit a faux pas like that, his watches are always very well considered. Hello all. A recent happy birthday email from TZ-UK reminded me I'm a member here, so have been catching up. I spotted this intriguing thread about an updated Everest. Not so sure this is correct. I may be wrong but looking at the renderings the case doesn’t look to be over twice the width of the strap. I think the stated dimension of 41mm may be the overall width including the crown. Depending how you read it the dial size of 32mm is also smaller than the previous version. 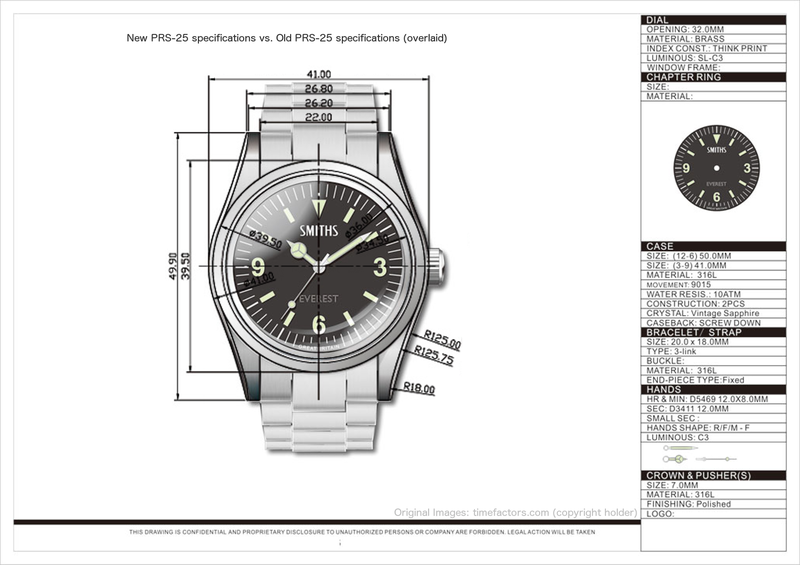 The original case width across 3-9 was 41mm according to the drawing. Mine has recently departed to a more deserving home so I can't check. That's great. Yes it's a good movement that will last a long time and it's usually very accurate out the box. I didn't say it was crap so there was really no need for people to come and talk the movement up. I don't like the free spin noise and wobble. That's not perfect for me along with some other movements that have the same characteristics. Also I didn't say the 9015 in the Everest should be replaced with a quartz. And I know Eddie's watches are well considered, I've had a fair few and will have more in the future. Last edited by James_; 15th February 2018 at 06:48. Apologies for any misunderstanding. My post was trying to explain that the information Eddie posted above could be interpreted as showing that the new watch is smaller than the old one not larger. The two sizes of 20mm lugs and 41mm width do not appear to tally with the images. Just attached a nice vintage Riviera strap to my 25. I usually wear it on the bracelet, but I'm quite liking this combo. It looks really good. I've had mine on a dark brown Titan from TSS from the day it arrived, the bracelet is unworn with the stickers still attached. I know that black dial/brown strap is an accepted "classic" combination, but IMHO the Everest is a watch that suits it perfectly. I do sometimes put it on a Nato for a change. I try to wear my small group in rotation for a week or two each, but I find the Everest and Voyager inevitably end up being worn for 3-4 weeks. Hmm, my prs25 is away for a warentee repair as the movement stops, when you get it going again it will run for anything from a couple of minutes to an hour'ish before stopping again. A quick Google tells you that this is a fairly common problem with the 9015. add to that the noisy rotor and i will not be buying another 9015 equipped watch. It just so happens that I love the prs25! Perhaps when the warentee is up I will replace the movement if the fancy takes me. A quick google told me that people are having a similar problem with their ETA 2814 as well. How did you establish this is a "common problem" rather than "a problem a few people report on the internet"? I don't remember anyone on here having a similar problem and I certainly haven't. Also I don't think Eddie would choose a movement with such obvious issues. I don't get the noisy rotor either. Maybe my hearing isn't up to scratch, but I can only barely hear the rotor go round with my PRS-18 up to my ear. It's a terrific looking watch, near perfect, but honestly the whirring sound from the rotor on mine is noticeable. Happily I can live with it. Less noise comes from my miyota powered 18a, probably thicker case and different crystal material makes the difference. Yes, I see what you mean about the 18A. Not aware of reliability problems with the 9015, but having owned two I can say that if you catch it right it can sound like a metal fidget spinner inside... never have this with 2824 or NH35 and it does sort of put me off. Don’t be a sissy with your noisy rotor and show me an in depth review of the 9015’s problems. ETA’s Valjoux 7750 is even noisier and used by all sorts of high end brands. 9015=reliable and needs little maintenance. I typically get 2 - 3% guarantee issues with watches fitted with ETA movements, with the 9015 it's less than 0.5%. Slightly noisy movement or not, I still want one. The two sizes of 20mm lugs and 41mm width do not appear to tally with the images. Agree, I just scaled the original image and the new image in a graphics editor. The new graphic, scaled to have L2L of 50mm, ends up with 22mm lugs. Two options: The new graphic is not correct, or the new specs are not correct. Personally would guess that the specs on the new watch will be the same as the old, apart from the sapphire crystal. It's about peronal preference, not how much of a neanderthal you have to be.